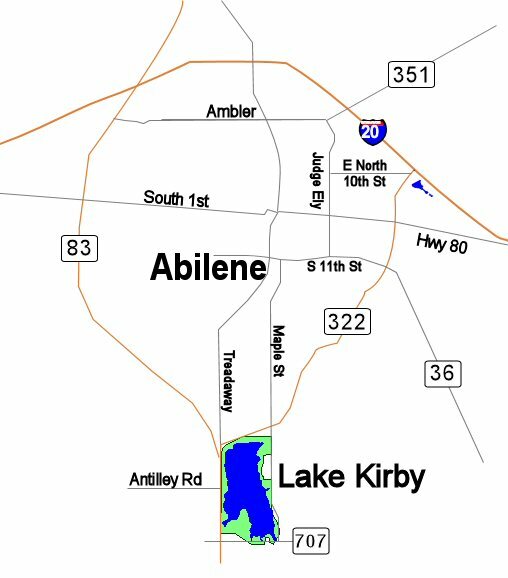 Lake Kirby is located south of Abilene and can be accessed by exiting off Loop 322 and turning south onto Maple Street. Go south for .7 miles and when you see the baseball fields, turn right into the park and continue until coming to a fork in the road. To your right is the dam and to your left is the boat ramp and access to the lake via several paved roads. The lake has paved roads around the east side and if you have a high clearance vehicle you can travel up and around the dam onto the dirt roads on the west side of the lake. These red dirt/clay roads are not consistently maintained and can be difficult to drive on especially when wet. 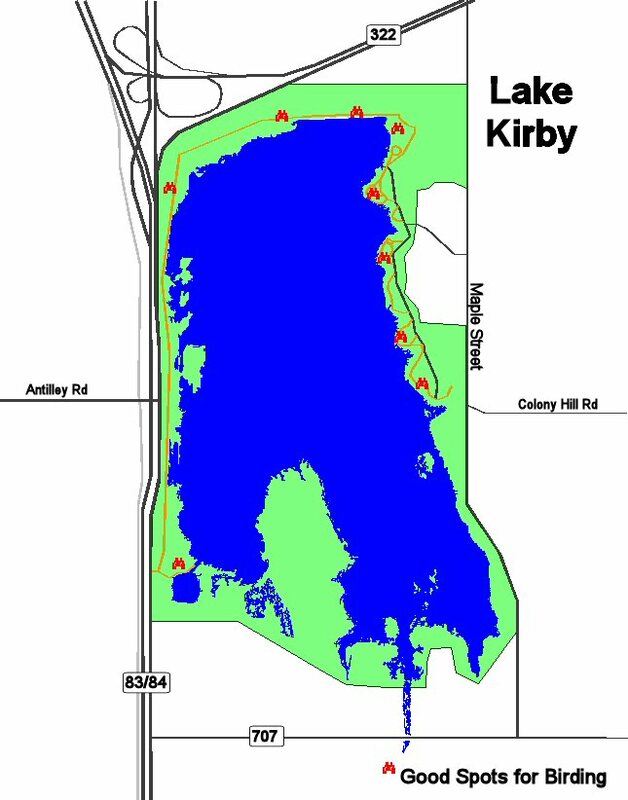 Lake Kirby is a fishing lake but it is also a great place to see ducks, gulls, pelicans, herons, egrets, Pyrrhuloxia, Verdin, Bell’s Vireo, sparrows, and other passerines in the proper season. A Common Moorehen is currently a year-round resident. 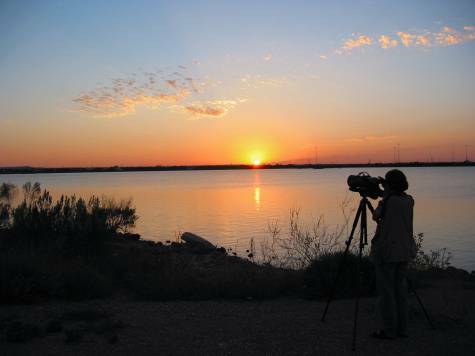 The best time to bird the lake is in the morning when the sun will be to your back. The above picture shows a sunset.